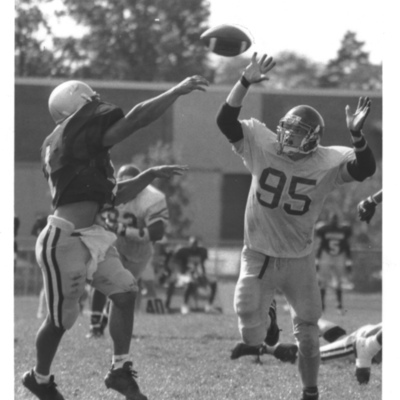 Photograph of a George Mason University defensive player (#95) defending a pass attempt by an unidentified quarterback. Original image dated September 30, 1995 and is a 4" x 6" print; black and white. 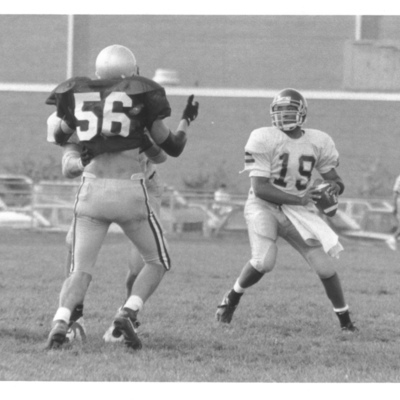 Photograph of George Mason University quarterback Earl Jackson (#19) dropping back to pass against an unidentified defender. Original image dated September 30, 1995 and is a 4" x 6" print; black and white. 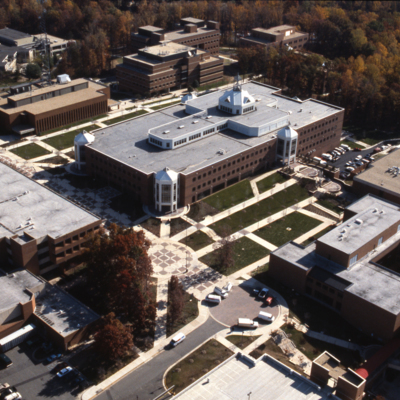 Brochure for George Mason University's Krasnow Institute for Advanced Study published in 1995. Six pages; two-colors (blue and white). 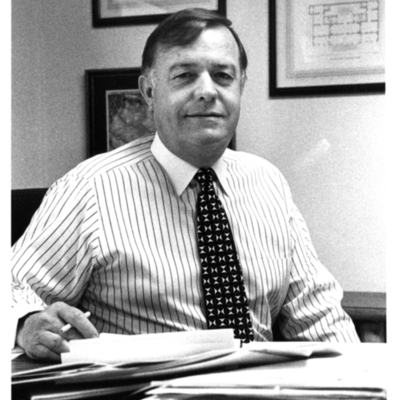 Photograph of Dr. Kingsley E. Haynes, Director of The Institute of Public Policy at George Mason University, 1990-1999, and Dean of the School of Public Policy, 2000-2010. 8" x 10" print; black and white. 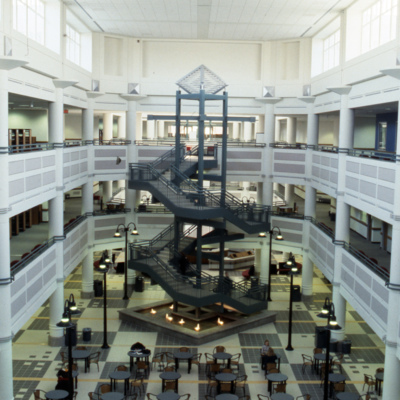 An exterior photograph of the University Learning Center (now kown as the George W. Johnson Center) taken in 1995, the year the building originally opened. 35mm slide; color.